In our last blog, we spoke about the importance of designing for your workforce using a myriad of techniques including structure, furniture, and zoning. But what about the role of colour? Colour can influence mood, productivity, culture, and connectivity – it can make or break your design. 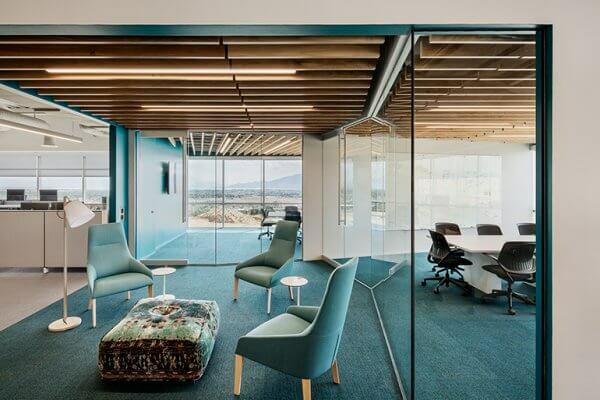 The right office colour schemes can also make a statement about a brand’s image – the mood it seeks to inspire it its customers, the energy it seeks to ignite in its staff, and the zones that support a variety of functions and flow within its space. 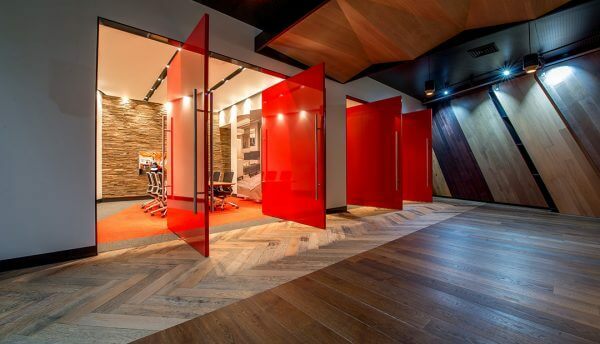 Colour synchronised with texture is perhaps the most influential and powerful element of commercial interior design. But power doesn’t necessarily mean dominance. 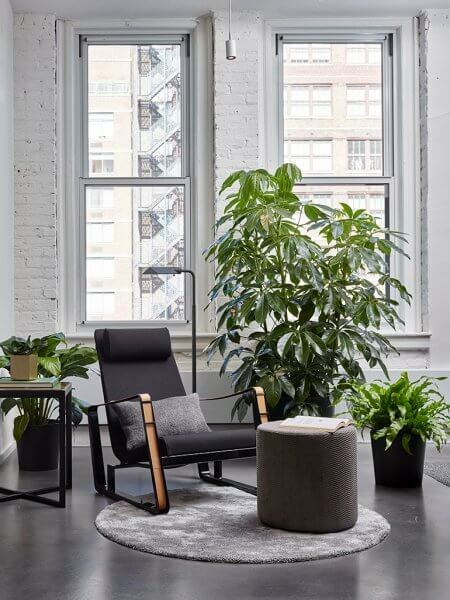 Subtle bursts of colour can transform a neutral canvas into a high-energy hub, a contemplative nook, or a social space for networking or collaborating with co-workers. Colour can lift, ground, ease, or inspire a workforce. 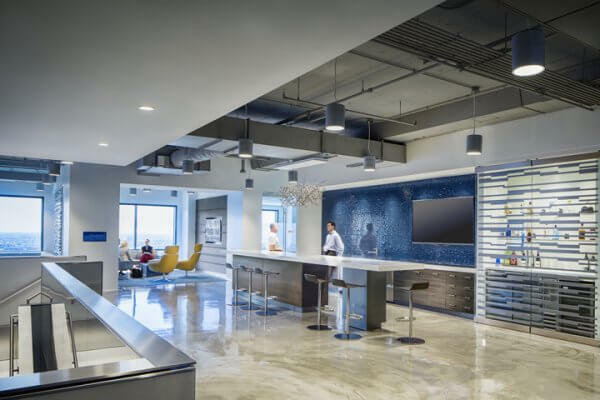 Every office environment is different – influenced by the nature of work performed, the bricks and mortar structure, and the personalities of the people within the space. 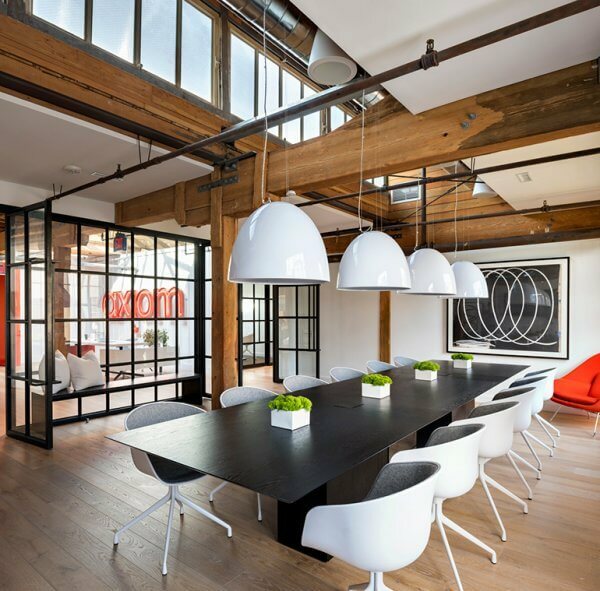 A lot of thought goes into the entire workplace aesthetic, and as designers, we have an abundance of options at our disposal. To help inspire and effect your next office design, we’ve put together our top six primary base colours to help you understand the influence colour has on your office fitout. Shades of blue can create a mood of tranquillity but also set the tone for clarity and focus. An attractive colour for brands wanting to achieve a persona of strength and stability without coming across as too dominant or overpowering. Like blue, green can evoke a soothing mood and feelings of balance and harmony akin to the natural environment. 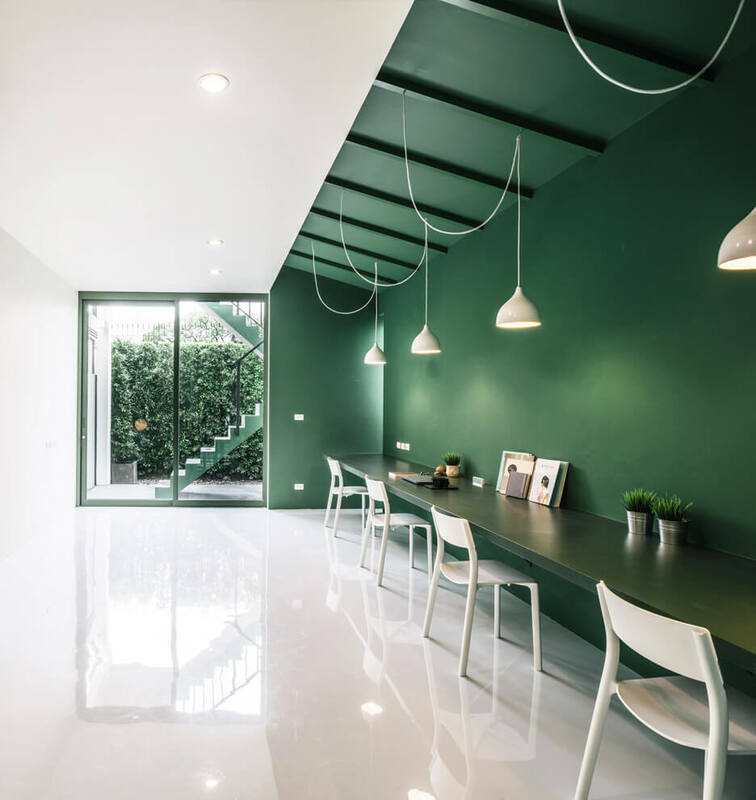 Green is known to inspire creativity and productivity within the workplace. It helps staff think and speak clearly, great for areas that require presentations and when clear communication is required. 2. High-Energy Yellow, Orange, and Red. For a high-energy, positive workspace, consider bursts of yellow. 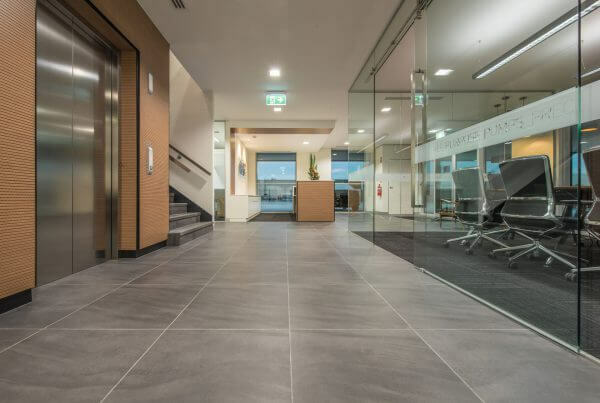 When used in moderation (pops of colour, not every wall), can have an uplifting effect on employees and visitors – a ray of sunshine in a commercial setting. Orange brings warmth to the workspace with shades ranging from retro to terracotta with embellishments of copper and brass. Like yellow, hues of orange inspire high-energy and happiness. 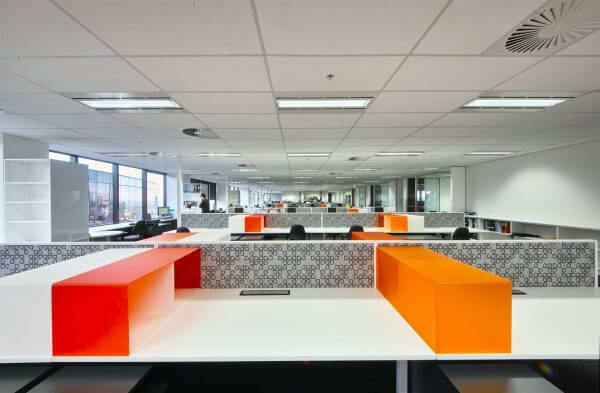 The colour of passion, excitement, and in the office environment – productivity. Perfect for fast-paced, lively workplaces – anywhere heart rates and brainwaves are firing up. We couldn’t write about commercial colour schemes without addressing the two most commonly used colours in office spaces – grey and white. Grey can sometimes get a bad rap and can be correlated with negative effects on mood. White also can be forgotten as a colour and is one of the key components to any fit-out. Grey when paired with a combination of white, texture and adding warmer, natural materials to the palette, can transform a space into a great, welcoming and well balanced environment. White, as we all know, never falls to make a space feel fresh and calm. Introducing a vibrant colour, or another shape or texture, like glass or metal. Great Design Inspires Great Work – Starting With The Right Colour Palette. 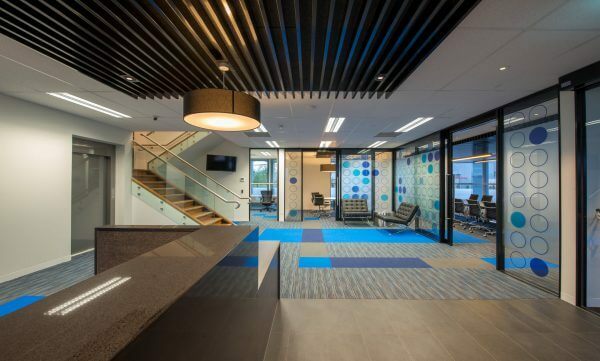 Whatever the function of the commercial space, colour (alongside the other important design elements) can influence culture, creativity, productivity and the well-being of staff. If people can’t perform at their best in the work environment, everybody is losing out.